The Kerala Police themselves took three women to the famous shrine for darshan. And at the same time, the cops arrested three women, who tried to enter the Vavar mosque. Pinarayi Vijayan government's hypocrisy comes to light. Thiruvananthapuram: Kozhijampara police arrested the three women from Tamil Nadu on January 8, who were on their way to the Vavar mosque at Erumely in Kerala for allegedly trying to create animosity between religious groups along with an intention to trespass. Since ages, Ayyappa devotees have been visiting Vavar mosque located en route to the Sabarimala hill shrine as part of their pilgrimage itinerary. The arrested women were identified as Revathy, Susheela Devi and Gandhimathi. The three women have been charged under section 153 A of the IPC (Promoting enmity between different groups on the grounds of religion, race, place of birth, residence, language, etc) and will be presented before the magistrate after the police record their arrest. It was earlier reported that women are not allowed to enter the Vavar mosque, but after the arrest of these three women, the mosque authorities have come up with a new statement that Vavar mosque has no age restrictions regarding the entry of women pilgrims into its premises. With Kerala chief minister Pinarayi Vijayan's support, three women have already entered the famous temple with police protection. Earlier, two women of menstruating age visited the Sabarimala temple on January 2. The two women were identified as Bindu from Kozhikode and Kanakadurga from Malappuram. These women were taken to the shrine through the back doors of the temple. Similarly, on January 3 Sasikala, a woman from Sri Lanka, came with ‘Guruswami’ and had the darshan of Lord Ayyappa. This arrest Kozhijampara police shows the CPI(M)'s double stand on Sabarimala temple, say Ayyappa devotees. 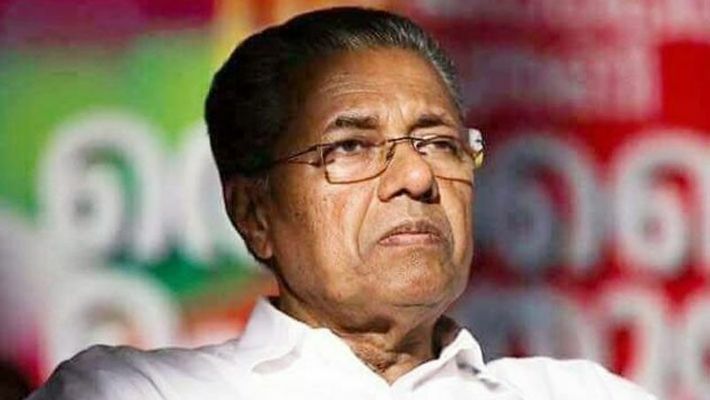 "Pinarayi Vijayan wants naxals and other criminals to enter the shire, so he made secret plans and helped three women enter the Sabarimala temple. He will definitely get what he deserves for hurting the sentiments of true devotees," said Amal Aravind, an Ayyappa devotee. If the same police can take women to the Sabarimala shrine secretly, then why are they arresting women, who tried to enter Vavar mosque. And all this when the mosque authorities don't have a problem in women's entry. "Pinarayi Vijayan is two-faced and it is clearly displayed when his police arrested three Hindu Makkal Katchi (HMK) women. Earlier, I have said that Pinarayi Vijayan is a liar, and he will prove to be the same in the future too," said Rupesh Chirakkal, an activist from Malappuram.